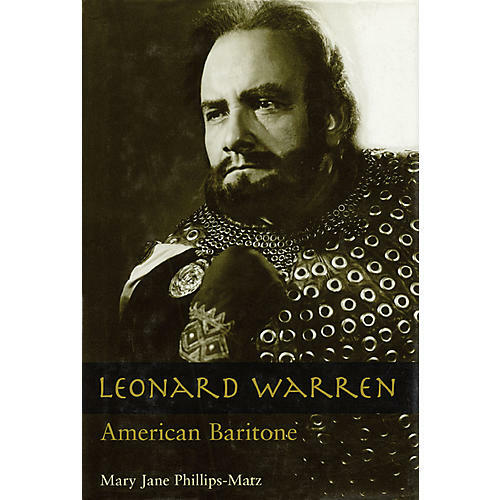 The great baritone Leonard Warren was history's most notable interpreter of Verdi, making his mark in the title roles of Rigoletto, Macbeth and Simon Boccanegra. Warren's dramatic death over 40 years ago is famous: he collapsed and died onstage at the Met on March 4, 1960 in a performance as Carlo in La forza del destino. In this definitive biography, Mary Jane Phillips-Matz, author of an acclaimed biography of Giuseppe Verdi, offers an intimate portrait of a beloved opera star, based on hundreds of interviews. More than 100 rare photographs capture Warren in his great roles as well as in private moments. HARDCOVER.